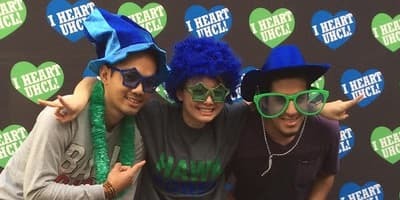 As an admitted student, we know you are anxious and excited to come to UHCL. OIAP is here to assist you and we are looking forward to seeing you on our campus in the very near future. In your acceptance mail packet, there is information about steps to take leading up to your arrival and we have this area of the website to provide information for you as well. Throughout the coming weeks and months, you will receive detailed emails from us to help in your preparation. Finally, our Student Diplomats are available to provide assistance. 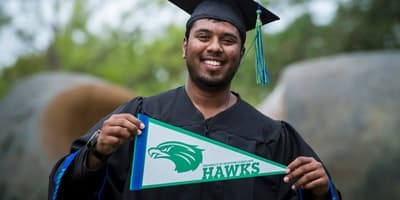 They are your peers here at UHCL and have been through the similar experiences you are having in preparing to come to UHCL. You can contact a Diplomat for help by emailing oiap@uhcl.edu or calling our main number 281-283-2740. As a future student at the University of Houston-Clear Lake, please review and check each statement in the UH-Clear Lake Transition Checklist as it pertains to you in order to have smooth transition to our campus. Early registration is by appointment only. If you are eligible for early registration, we’ll let you know by email that appointment times are available for review in E-Services. You can register for classes during or after the time that has been assigned to you. Open registration varies in length based on the semester. It begins the day following the close of early registration. You can register for classes during the open registration period as soon as you are admitted. Your user ID is your seven-digit student ID. If you do not know your user ID, call the Student Assistance Center at 281-283-2722. Navigate to the E-Services page. Click "Request a new password?" UHCL will email you your password. If you need help choosing courses before registering for the first time, contact the Office of Advising in the school that offers your degree plan. Each school has different procedures, so it pays to check with your school adviser. In your first semester, you should plan to take courses that are part of your general course requirements. Candidate Plans of Study (CPS) outline the coursework necessary to complete your degree at UHCL. All degree-seeking students must file a CPS. We need your official transcripts and test scores in order to develop a CPS. Schools differ in the way they set up your CPS. In all schools, however, development of the CPS begins during your first semester. Contact the advising office for your school during your first semester of enrollment for detailed CPS information. The UHCL class schedule is available only ONLINE. The university does not print class schedules. Use the guest login to review class offerings before making a decision about your classes. Upon enrolling in classes, F and J visa students are automatically included in the University of Houston System Student Insurance Program. This program is mandatory, with exception granted only if students meet the waiver requirements. Charges for the coverage will be billed along with other student fees, to students’ university accounts. 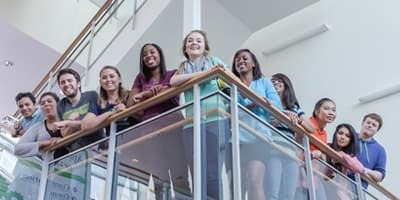 More information about Health Insurance, including pricing, can be found at the Health Insurance for Students page. Most conveniently located is University Forest Apartments (UFA), which is our on-campus housing for UHCL students. For more options on the floor plans, rates, and lease visit their website, call 281-286-5959, or email uhcl@campushousing.com. Healthcare Administration students may want to secure housing near the Texas Medical Center, 2151 W. Holcombe Blvd., Houston, TX 77030, since many classes meet at this location. If you are not able to find accommodations prior to your arrival, nearby hotels are available for temporary accommodation. Please check availability, pricing and amenities to fit your needs. The first and most important step in your pre-arrival preparations is to obtain your visa. We know this can be a stressful process for students. We have provided the information in PDF form below to guide you in your visa application, interview, and entrance into the US. The following information is meant for all international students outside the U.S. who are preparing to enter the U.S. as F-1 students. Students already inside the country do not need to follow the information below.